You are a warrior. Not only do you own three new sweaters to prep you for the cold winter weather ahead, but you bought them without even having to put one foot in the crowded mall, plagued with panicked shoppers suffering from Christmas-fever. Even better, you got the sweaters on sale – 20% off, one day only. You are an online shopper, and you’re a master at it. But are you addicted to it? Here are 10 signs that you might be an online shopaholic. 1. You memorized your credit card number. As well as the code on the back. You don’t have time to dig your card out of your purse, and you know that the sooner you get that e-mail confirmation, the sooner your new purchase will arrive at your doorstep. Certain sites might even have your card auto-saved. While you have an occasional doubt that the information might not be super safe floating around the internet, you’ve never had problems before. Thus, everything will be fine. 2. RetailMeNot is one of your bookmarks. Because it’s just foolish to complete a purchase without seeking out a coupon code, right? Even if it means a mere 5% off, it’s still a deal! 3. You start buying Christmas presents in January. It’s a smart thing to do, and definitely an assurance that you won’t be in debt at the end of December – but you acknowledge the fact that the extra months of shopping has made your “perfect gift for your sister” morph into a “perfect hoard for your sister”. 4. 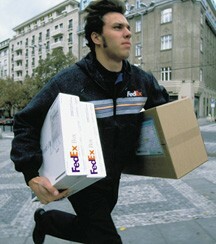 You know your local FedEx and UPS drivers by name. They’re quite used to dropping boxes off at your house, so it’s probably normal to ask them about their wife and kids, right? In fact, perhaps a box dropped off is actually a present you bought for them, for their friendly service. 6. If people ask you about your hobbies, “shopping” is one of them. Honestly, the better answer would be cooking, or volunteering. But shopping takes up a big portion of your week, so you’re only being honest. You view yourself similarly to the folks on Extreme Couponing – it’s a skill to be so good at shopping. 7. You can’t remember the last time you tried on clothes at a store. You’re fully aware of your sizes at all of your favorite stores, and you’re familiar enough with the stores to know how specific styles will fit. You can visualize how you’ll look in a shirt by eyeing a picture, and 9 out of 10 times, you’re completely right. You also know that sometimes the best buys are the “online exclusives”. 8. You understand that shopping can be an addiction. Sometimes you’ve had your moments of weakness, but have learned that without a keen eye on your expenses, things can easily get out of control. As an online shopper, you’ve vowed to keep a certain budget per month – or, you know that those shoes you’ve been eyeing up will go on sale soon. You know when your favorite clothing outlet has a sale. It’s just tough to be patient sometimes. 9. You simply can’t wait for those Amazon drones. Sure, joining Amazon Prime was the best decision you’ve made this year. 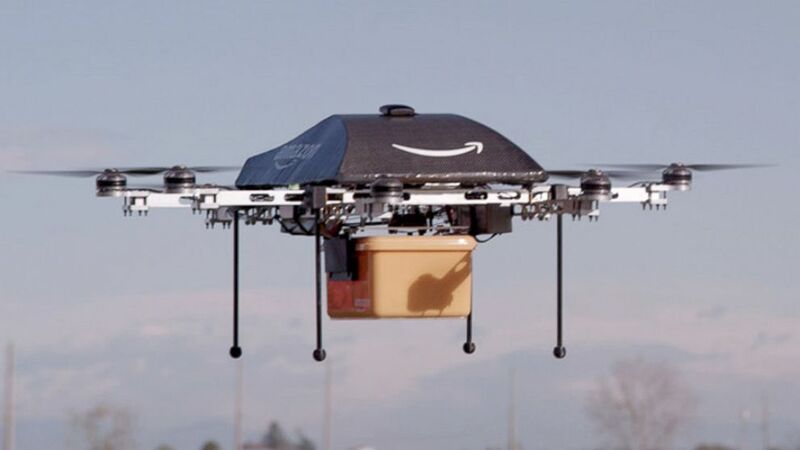 But once it was announced that drones will one day deliver your packages shortly after you’ve ordered them? Best day ever. 10. You’ve spent hours looking at product reviews, just for fun. Reviews can be insanely helpful, like the product comments that are encouraged over at ModCloth (you can see pictures of the clothes on actual people, and they also have a great return policy!) or they can be absolutely hilarious, like the reviews for Tuscan Whole Milk on Amazon. Every time you see a Three Wolf Moon shirt, you know the true origin of the joke – one sassy comment started it all. Do you think you’re addicted to shopping online?